How do you handle the reclaiming of (part of the) diesel duties paid by you; a possibility that is open to all transport and bus firms established in the EU on their diesel purchases made in Belgium, Hungary, France, Italy, Slovenia and Spain? Are you in full control of this process so that you can be sure not to miss out on any refunds? Is this an efficient process for you that does not force you to spend many hours on collecting all those bills and receipts? Or is all the hassle that comes with finding out about possibilities and applying for refunding not worth it, as it takes too much time or because the process is too complicated and time-consuming? The conditions for claiming diesel duty refunds are simple. The vehicle concerned must have a maximum gross weight of at least 7.5 tonnes and the diesel purchase must have been paid electronically (so cashless, using a fuel card). Another condition is that the fuel transaction bill has been assigned to a specific vehicle. In spite of these conditions and the fact that claiming diesel duty refunds is sometimes regarded as a burden on the records department, applying for refunding simply brings in money. In Belgium for instance, refund amounts for 2019 have been set at 24.76 cents per litre. So you are entitled to nearly 250 euros in refunds on each 1,000-litre diesel purchase. Another requirement for you however is to apply for a permit and to register the vehicles concerned. All your statements must be made in hard copy and you must enclose the relating fuel bills. So all in all it is a time-consuming process indeed. Like FH Logistics, just put an end to the masses of paperwork normally involved in obtaining diesel duty refunds. 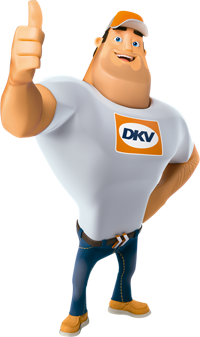 For more information about the services provided by DKV Euro Service in this area, go to https://www.dkv-euroservice.com/gb/services/refund/vat-refund/. Or you can contact me if you prefer, I will be pleased to help you out. Next VAT-refunding in the EU: Why making easy matters difficult?